Dr. Laura Barge is a Postdoctoral Fellow with the NASA Astrobiology Institute. She is currently a member of the NAI Icy Worlds team at the Jet Propulsion Laboratory. Her research focuses on the origin of life at alkaline hydrothermal vents on Earth and also the possibility of life emerging from deep-sea vents on the icy moons of Jupiter and Saturn. Specifically, Dr. Barge studies the emergence of the various bioenergetic processes driven by proton and ion gradients, using fuel cell experiments and electrochemical analysis techniques to simulate the out-of-equilibrium chemistry that might have occurred at hydrothermal vents on the early Earth. Dr. Barge received her Ph.D. in Geological Sciences from the University of Southern California and her B.S. in Astronomy and Astrophysics at Villanova University. 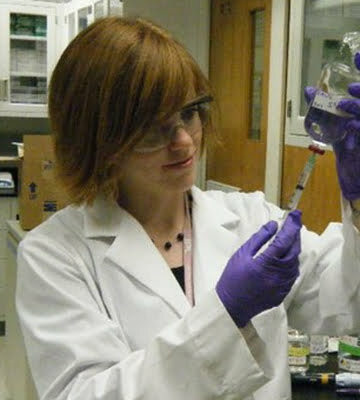 Previously she was a Caltech Postdoctoral Scholar at JPL, where her research experience included studying prebiotic phosphorus chemistry, self-organizing chemical precipitates in out-of-equilibrium systems (including chemical gardens and Liesegang banding), and using simulated hydrothermal minerals as electrochemical catalysts for redox reactions.